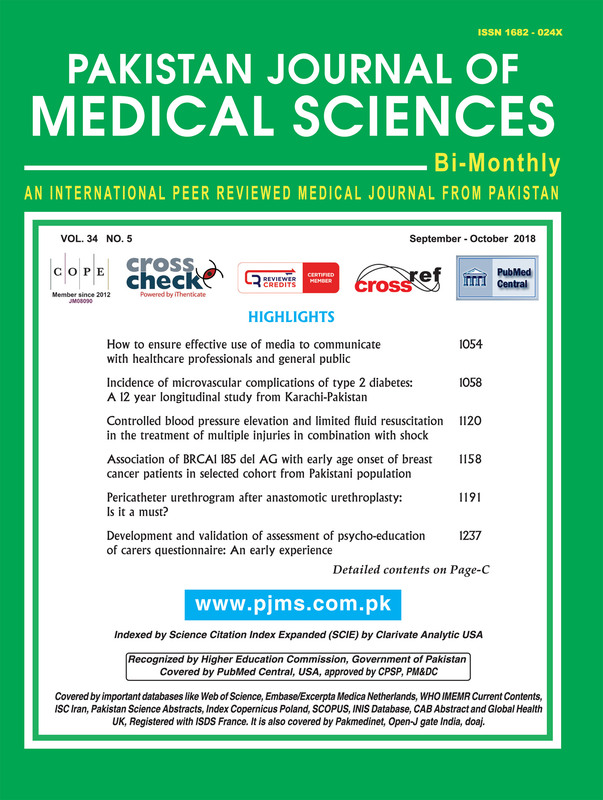 PAKISTAN JOURNAL OF MEDICAL SCIENCES is a peer reviewed journal. It is published bi-monthly. It has controlled circulation. We accept original research, review articles, guest editorials, case reports, short communications, drug trials and letters. All articles published in Pak J Med Sci under the terms of the Creative Commons Attribution License (http://creativecommons.org/licenses/by/3.0), which permits unrestricted use, distribution, and reproduction in any medium, provided the original work is properly cited. Recognized by Higher Education Commission, Government of Pakistan.